Discounted Party Packages | A&T's House of Bounce Inc.
A&T's House of Bounce know's That BIG IS BETTER! And that is why we love to package our inflatables! Check out a few of our Best Sellers! If you don't see what you are looking for, feel free to give us a call at 845-787-0515 and ask about a package thats right for you! We have all different party packages to suit your needs. 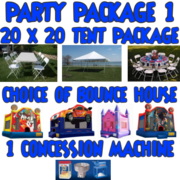 If you are looking for a Tent Package, we have a package that combines a choice of a 20x20 Tent, Bounce House & Concession Machine! We also have some great party package rentals for large School & Church Events. Check out all the Party Package Rentals Newburgh has to offer. When You find the Perfect one, click "ADD TO CART" and follow the checkout procedure. 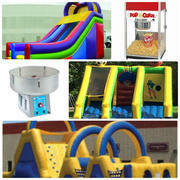 Party package Rentals for your next event! We know that party rentals can get expensive! That is why we put together some of our best sellers together at the most affordable pricing! Shop our extensive list of party packages and get your party started! Ordering your Party Package online is easy! Reserving your Party Package is easy with our new automated online ordering system. It is as easy as shopping on Amazon and we can sometimes get you your Combo quicker than prime! Simply click through our categories and when you find the perfect party rental, simply click "ADD to Cart". Once finished shopping you can finalize your order through our secure check out process. 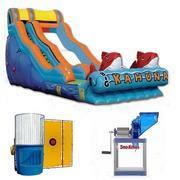 All of our party rental equipment is guaranteed for an 8 hour rental. Tents are dropped off the morning of and sometimes the day before your event and picked up the day after. Use the same 8 hour block when ordering your tent and combo bouncer together. We deliver our Party Packages Throughout the Hudson Valley! Our Party Packages all come with FREE local delivery and set up for any party rental within a 15 mile radius of our warehouse. There is a small delivery fee for party rentals outside of our FREE delivery zone. We deliver to Orange County, Ulster County, Rockland County, Dutchess County, Putnam County, Westchester County and parts of Sullivan County. You can find a full list of cities on our Delivery Area Page. If you do not see your city in our list, please feel free to contact us through, chat, email or phone. We serve the entire Orange County Party Rental area with our combo bouncers and other fine Orange County party rentals in Midletown, Washingtonville, Monroe, New Windsor, Vails Gate and more. 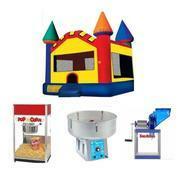 We offer our combo bounce houses and other party rental items throughout Ulster County. We deliver our combo bouncers to cities such as Marlboro, New Paltz, Highland, Esopus, Kingston and more. We deliver our Combo Bounce House Rentals to all of Putnam County. 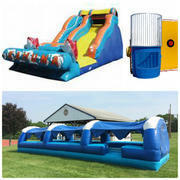 Reserve your combo bouncer rental for cities like Brewster, Cold Spring, Putnam Valley, Carmel, Mahopac and more. We Service the majority of the Westchester Party rental area. We deliver our combo bounce house rental to most cities including Peekskill, Yorktown Heights, Katonah, Mt. Kisco, White Plains and more. 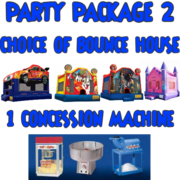 We offer our Combo Bounce House party and event rentals throughout the majority of Rockland County including Stony Point, Haverstraw, New City, Spring Valley, Nanuet and more. We offer our Combo Bounce House rentals through a portion of Sullivan County Party area. We deliver our quality Combo bouncer rentals to monticello, Wurtsboro, Bloomingburg, Fallsburgh and more.